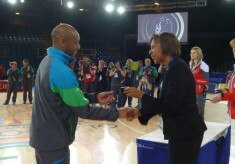 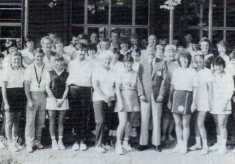 Molly Rhone, INF President, presenting Umpire, Gary Burgess, with his Commonwealth Games medal. 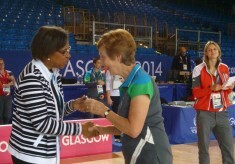 Molly Rhone, INF President, presenting Umpire, Ian Fuller, with his Commonwealth Games medal. 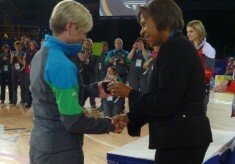 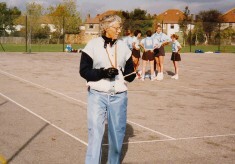 Molly Rhone, INF President, presenting Umpire, Tracy Smith with her Commonwealth Games medal.